After stumbling upon this the other day, it appears a number of the Under Review DVD series are now available (free) via YouTube. 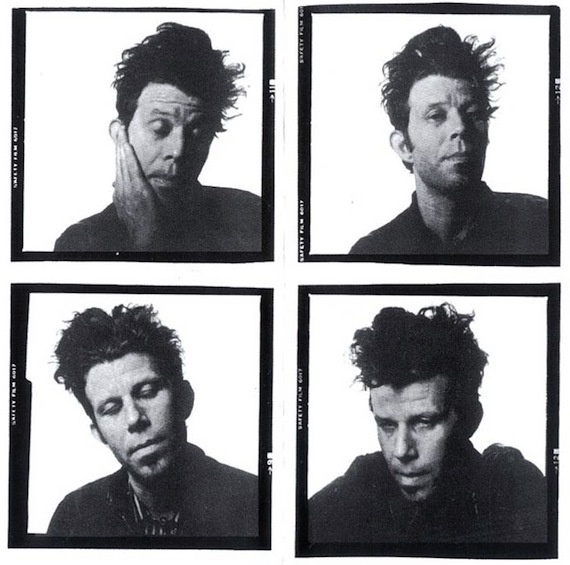 Following the standard Under Review M.O., the Tom Waits: 1983-2006 entry rounds up a number of music scribes (Anthony DeCurtis, Robert Christgau, Barney Hoskyns, etc) asking them to reflect upon the material at hand. As with the majority of the series, there are no shocking revelations to be found, but the 80 minutes devoted to Waits, early 80s, re-imagination of himself and career is an entertaining watch (and a nice primer for the curious). Speaking of, has anyone picked up Hoskyns’ recent Waits biography Lowside of the Road: A Life of Tom Waits? Thoughts? Good, bad, ugly? Full 80 minute DVD stream after the jump. Oh hi! I read the Hoskyns book, and it’s pretty good: thorough, and exhaustive. The only problem, which he admits right off the bat, is that he didn’t do any interviews with Waits himself. Which is a drag, but doesn’t stop it from being un-put-down-able for a fan, even if it’s not totally satisfying. So…thumbs three-quarters of the way up from me. The Hoskyns book is unsatisfying, in my opinion. As Waits vetoed the book, Hoskyns was unable to interview anyone who knew him well or worked with him recently. The only people quoted were long estranged musicians and friendships that were broken years ago. There were points of interest, but without Chuck E Weiss, Kathleen, Marc Ribot, Jarmusch or others providing tall tales from the inner Waits sanctum, I left the book feeling that I was still standing on tip-toes, trying to peek over the fence, and unable to learn much about the real Tom Waits. Perhaps that is for the best though. Thanks for the tunes Mr. Drunkard. The above comment is inaccurate: the problem is not that Hoskyns had no access to Waits, but that he had no substantial access to anyone of significance in Waits’ post-Asylum career. The bio is “pretty good” and “thorough” on the early years, but halfway through peters out to nothing but petty sniping and speculation after Kathleen Brennan comes into the picture. It’s half a book at best, really, and far from exhaustive. I got this book from the library a few months ago and I am in complete agreement with the remarks made by the above reader (silnto). Personally, I particularly enjoyed learning about his career and lifestyle in Los Angeles in the 1970’s and his later relocation to NYC in the mid to late 80’s.